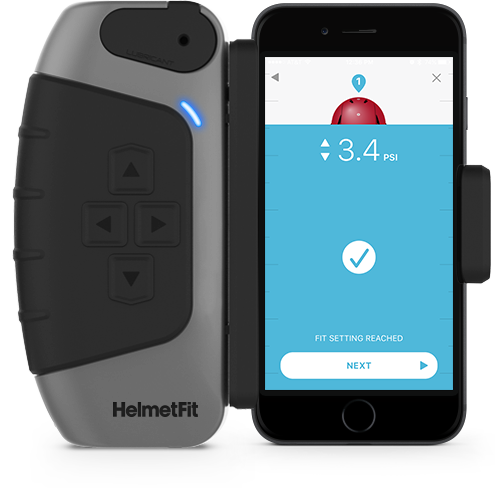 HelmetFit is a helmet maintenance system that establishes and maintains a custom, proper fit for each player by measuring the air pressure. Curious how it works? Watch the video below to learn more. Organize HelmetFit sessions by player, date, and time in the app. Student athletes, coaches, and equipment managers all want to maximize their time both on and off the field. 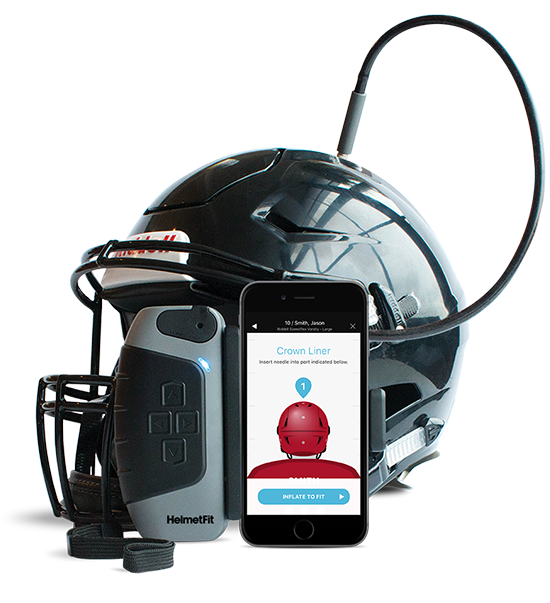 With HelmetFit’s off-player function; coaches and equipment managers can perform precision helmet maintenance without needing the player present. Risk management in the palm of your hand. 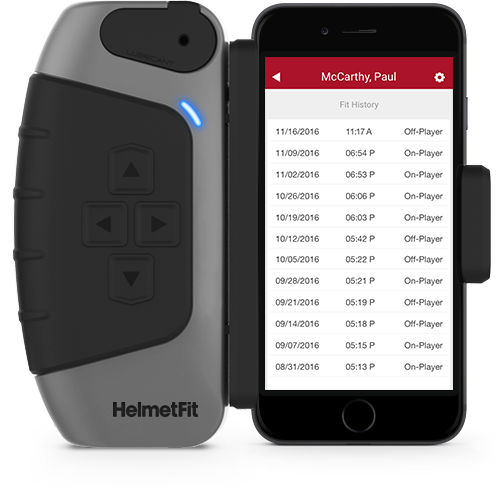 HelmetFit offers the only system that keeps track of helmet maintenance and safety. Each player’s personal fit log displays the date and time of every helmet reinflation. This way, team and school officials can prove and assure they have conducted helmet fitting sessions. 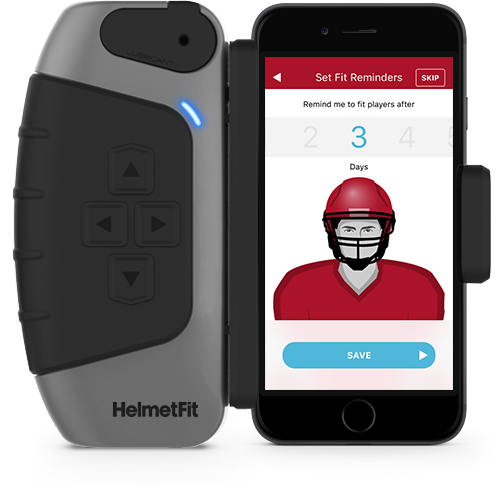 Regular “fit reminders” are sent to select members of team leadership, empowering coaches and equipment managers to keep their team healthy with streamlined safety solutions. That’s our premise. At the culmination of my thirteen years of playing organized football, I came to the realization that there was a lack of awareness regarding the need for regular helmet maintenance. Fast forward two years and we have developed a product that makes the helmet inflation process faster, easier, and safer.